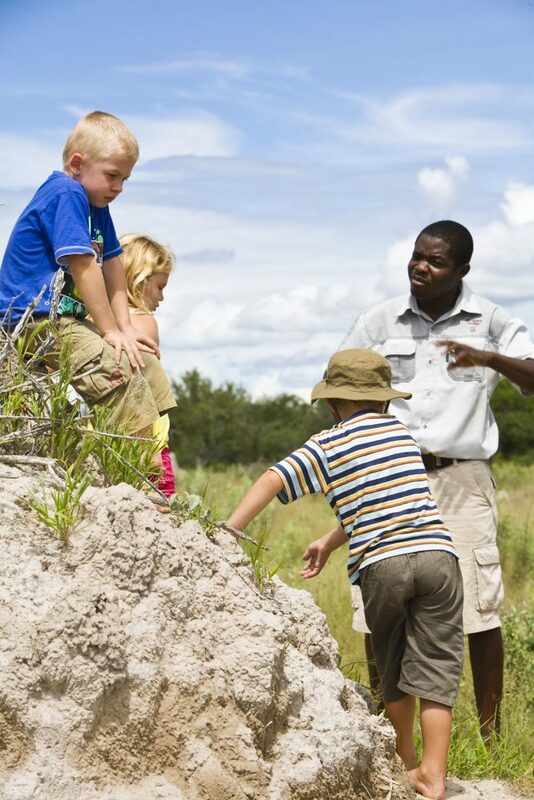 A guide at Mushara Bush Camp teaching guests' children about the wonders of nature. 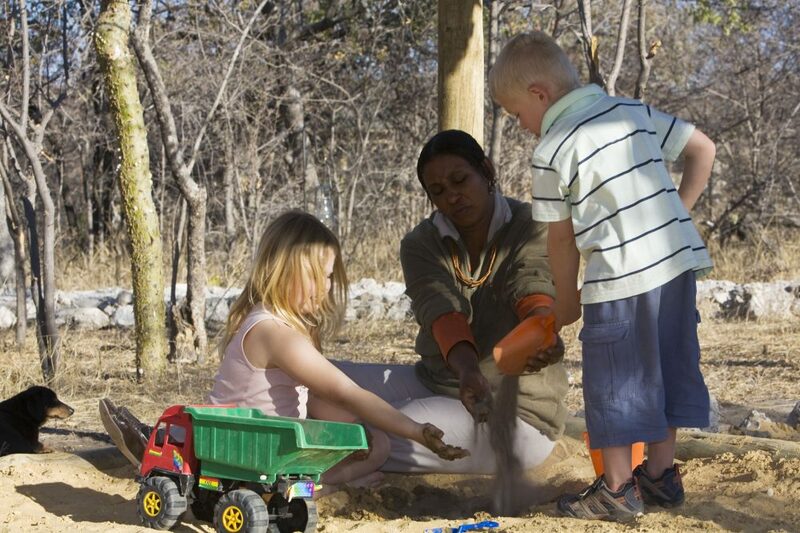 Travelling to Namibia with your children? Then please take note of the following. You have spent months planning the perfect holiday in Namibia with your family. Your bags are packed and passports are ready. 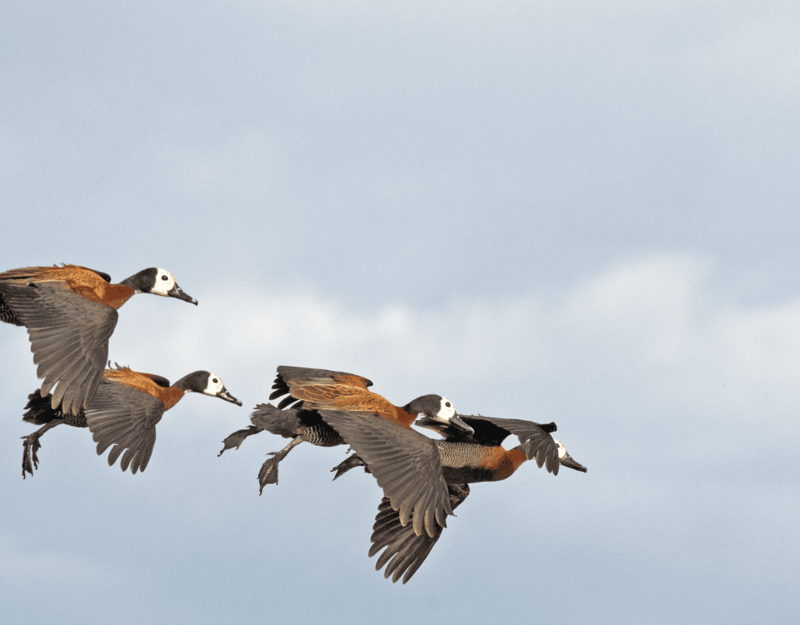 Finally you are on your way to explore Namibia’s vast landscapes, diverse wildlife, and enigmatic cultures. To make your trip with your young ones as hassle-free as possible, please take note of the following travel regulations. This will ensure avoiding any unpleasant surprises. These regulations apply to the entire SADC region and affirm the Child Protection Act and international law resolution through the United Nations Protocol regarding child safety against human trafficking. Due to an alarming rise in child and human trafficking, the authorities deem it necessary to reinforce these regulations. When children travel with an adult who is not their biological parent. Necessary documentation includes an affidavit from the children’s parents giving the minor consent to travel with the said adult. When children travel with an adult other than a parent/legal guardian. Said adult will need copies of the children’s legal guardians/parents’ passports or identity documents, as well as their contact numbers. When children travel with only one parent. The parent will need to provide an affidavit from the other parent giving the minor consent to travel. A death certificate should be provided if one parent is deceased. When children travel unaccompanied, they will need to provide an affidavit from their parents/legal guardians consenting their travel, as well as a letter containing the contact details and residential information, a copy of the identity document, valid passport or permanent residence address of the person who will receive the minor passenger. Minors’ unabridged birth certificate must always be provided at check-in, also when only in transit in Johannesburg. Make sure all your documents are in place for the holiday of a lifetime! 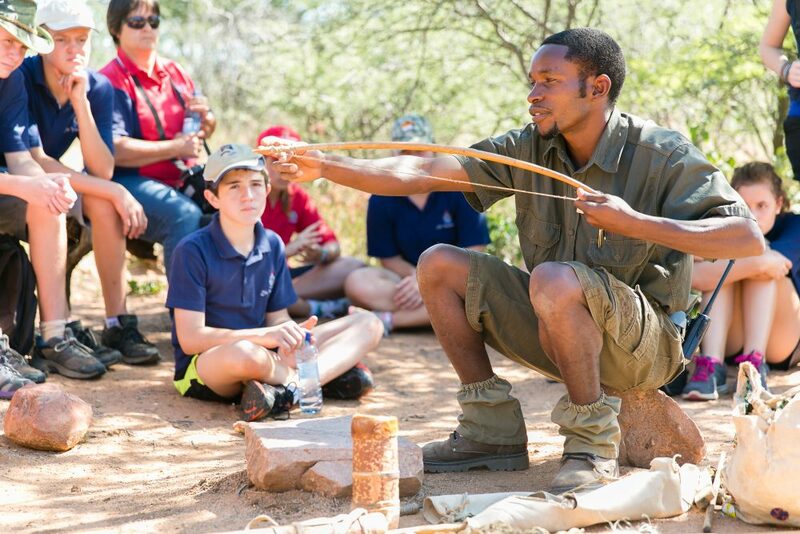 Read more articles for inspiration when travelling to Namibia with your bambinos. Hope for Alizee and Natacha arrived Today with no problem Alizee is steel minor untill her18 th birthday on 15th of August! !!! !